The next morning we our first stop was Aileron and the huge statues, only 12km down the road. This was a bit of a surprise as we didn't expect them to be so big. 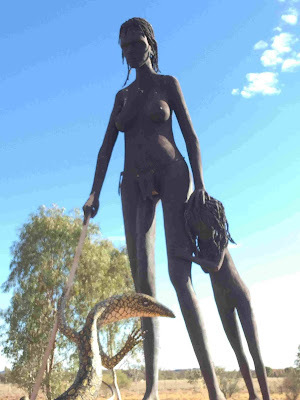 The Anmatjere Man stands 12 metres tall, with his spear making it a total of 17 metres. He overlooks the Aileron region, and is made of steel, wire and cement, and took about 18 months to complete. It was erected in December 2005 and created by Mark Egan. There is a road house that was closed when we were there and it serves food. 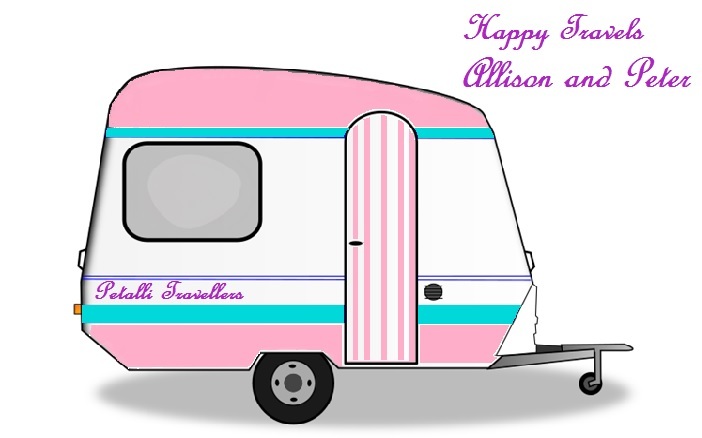 A caravan park is next door and on the other side is an art gallery. Three years later, December 2008, Anmatjere Man was joined by a wife and child. There is a walk up the hill to the Anmatjere Man. They are certainly a draw card to the tiny village of Aileron. 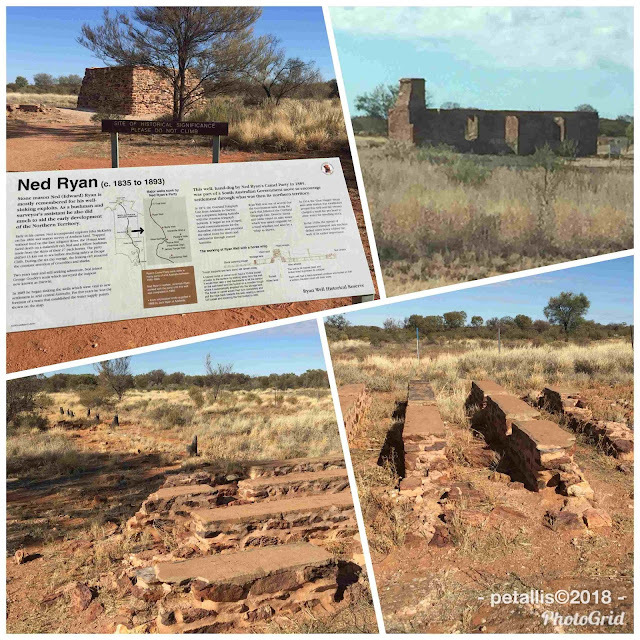 A few minutes down the road we came to Ryan's Well Historical Reserve. Ned Ryan was a stonemason, bushman and surveyor who did much to aid the early development of the Northern Territory. This well was dug by hand in 1889, and Ned and his Camel Party constructed many such wells in the area. The well remains, and the foundations of the animal water troughs can be seen along side. Across the road is a ruin of a dwelling. This area is also a free overnight camp. 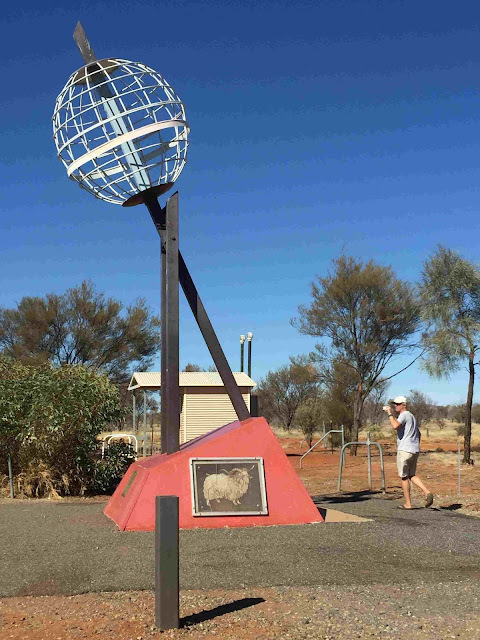 The last stop before Alice was at the Tropic of Capricorn, on the Burt Plain. This is another overnight camp, and has a toilet. The monument to the Tropic of Capricorn is quite large and impressive – more so than the three in Queensland that we have been to – although it is a lot colder here. Here is a map to show where have been so far in the NT and where we are going. We arrived at the Gap View Hotel mid afternoon and settled into our crowded site. The sites are confusing and even those before us were confused where they should be. 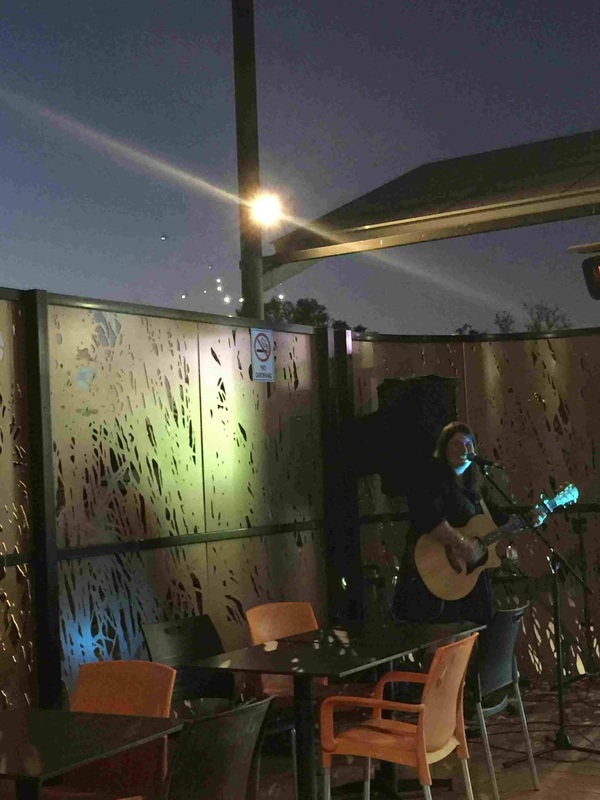 After setting up, wiping all the red dust of everything, doing the washing, and a bit of grocery shopping, we headed to the pub to see Sarah Leete sing. Strange set up with the pub – Sarah was placed in an area out side with a big screen TV showing 'funny football' (AFL), so had to compete with the noise of the TV – weird. Sarah was very good and we spent longer than planned listening to her, but it got way too cold and we had to leave. It was NT day – 40 years of self -rule, so fireworks went off all night from late afternoon to about 11.30pm. Fireworks are available for purchase here and some backpackers had their fireworks going off close to the vans – very noisy. 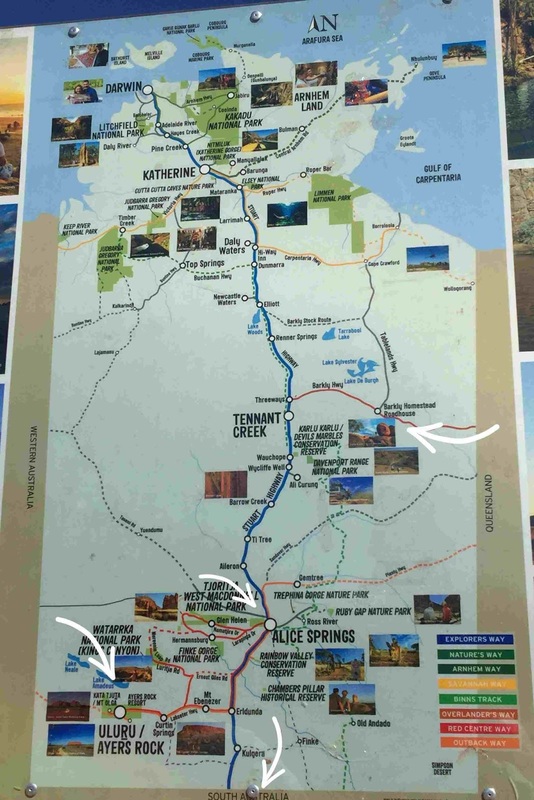 The next day we went into town to the info centre, small and some info about a little further afield, but not a lot about Alice, other than a map – which we already had from Tennant Creek. We walked up the Todd Mall and went for a drive to the Botanic Gardens, hoping to find something about my uncle who lived and worked here. He did a lot for the area and was the first taxonomist (a biologist that groups organisms) in Alice Springs. He collected specimens from all over Northern Territory and they became the basis for the Northern Territory Herbarium. Sadly we could find no mention of him. 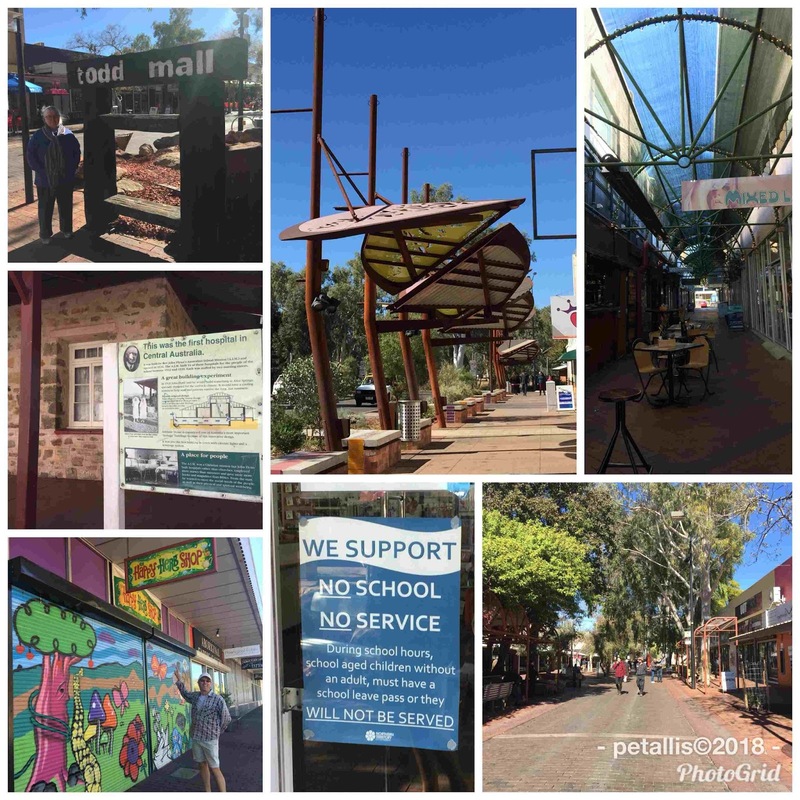 We went to Todd Mall and had a walk around. We saw many shops in the mall and in Alice, that had signs saying No School - No Service. There is lot of truancy in the Territory. In the Mall is the first hospital in Alice. A lovely old building built by Rev. John Flynn's Inland Mission. Opened in 1926, the building has been vandalised many times. A local explained to us that new security cameras had been installed because of the constant damage. So sad. The first European to explore the Alice Springs area was John McDouall Stuart in 1862, while navigating to the north of Australia. The overland telegraph soon followed, but it wasn't until the discovery of gold that settlers/prospectors came to the area and settled. 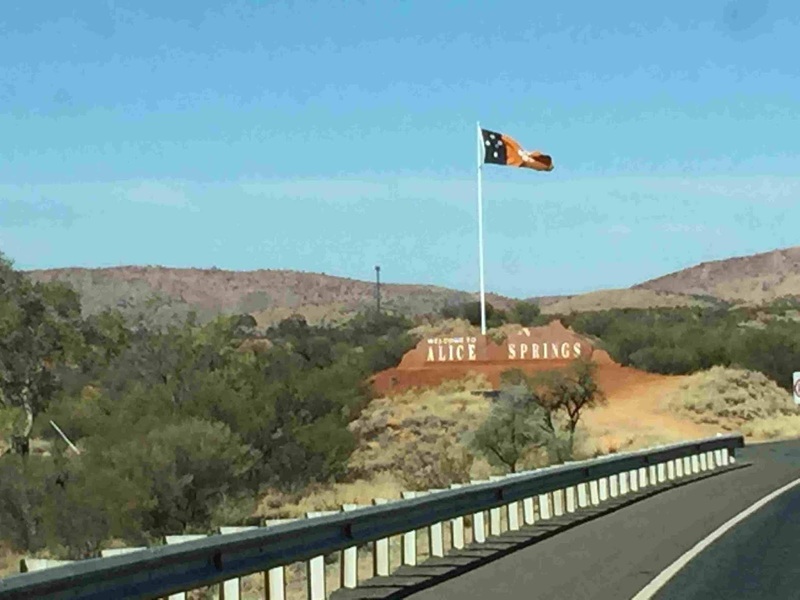 The town was originally called Stuart up to 1930's when the name Alice Springs was adopted. Alice Springs was the original name of the water hole at the Overland Telegraph. Aboriginal legend has the surrounding MacDonnell Ranges being created by a giant caterpillar who moved through Alice Springs creating the landscape – but that was all I could find out about the legend. The Ranges are thought to be 340 million years old and were formed when two tectonic plates collided, twisting and turning the rocks upwards. We went up to ANZAC Hill which was very well presented. The views of Alice were great. It is a memorial to those lost in all the worlds conflicts. We went to the telegraph station which was very similar in layout to the other two stations we have been to. We had lunch there. The highlight, however, was the dingo we saw crossing the road as we left. This trip has been very devoid of alive Australian animals. 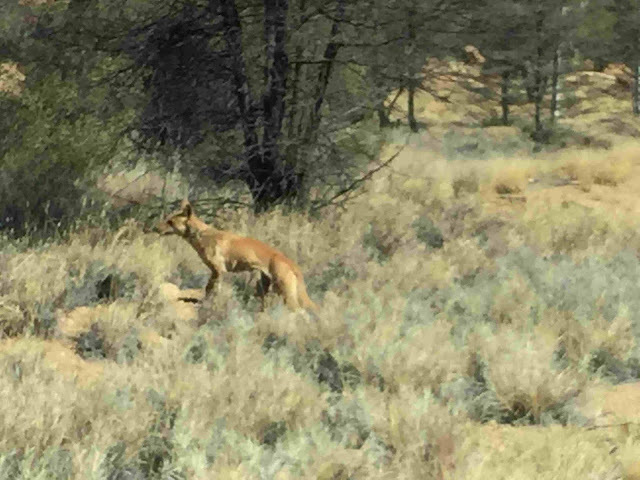 We saw a few emus near Barcaldine in Queensland, and now a dingo in Alice Springs. That's it! We hope to see a wild camel soon. We haven't seen a lot of road kill in the Northern Territory, only a few cattle and a lot of broken and burnt cars. 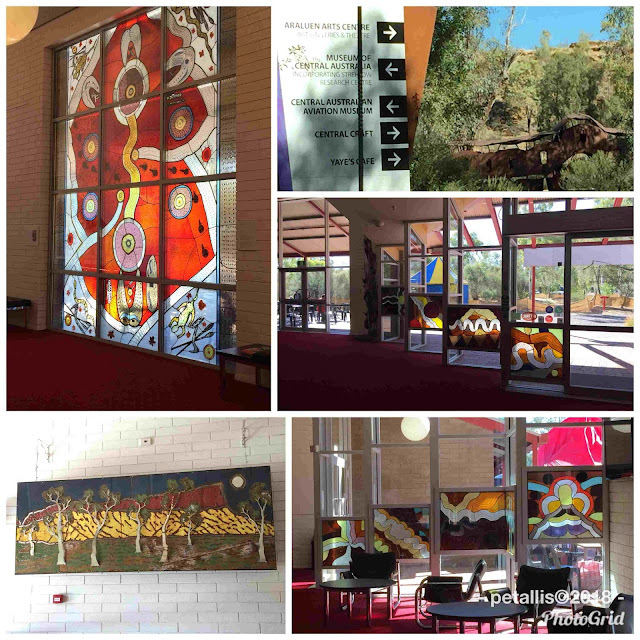 The Arts Precinct is well worth a visit. We were fortunate to be there during the Beanie festival. We saw the Alice Springs Beanie entrants for 2017 at Warwick Jazz and Jumpers Festival last year, so it was good to see it in its home town. The Arts Centre is lovely. Also in the area is Central Australian Aviation Museum (free) and an historic pioneer cemetery with the graves of Harold Lasseter and Albert Namatjira. Lewis Hubert Lasseter was born 1880 at Bamganie, Victoria, the second son of English parents. I never knew that in 1913 he submitted a design for an arch bridge over Sydney Harbour. Back in 1815, Francis Greenway proposed that a bridge should be built across the harbour, and it was not until 1922 that an arch bridge was approved, based on New York City's 'Hell's Gate Bridge'. He seemed like a bit of a larrikin, being involved in many different ventures in many different places. In 1924 he called himself 'Lewis Harold Bell Lasseter, bachelor', and married Louise Irene Lillywhite in Melbourne. During the Depression, Lasseter persuaded others to fund his search for gold. Harold Lewis Bell Lasseter, died in the Petermann Ranges near Ayers Rock in January 1931, claiming he had found a reef of gold in 1929. People still search for Lasseters Gold. 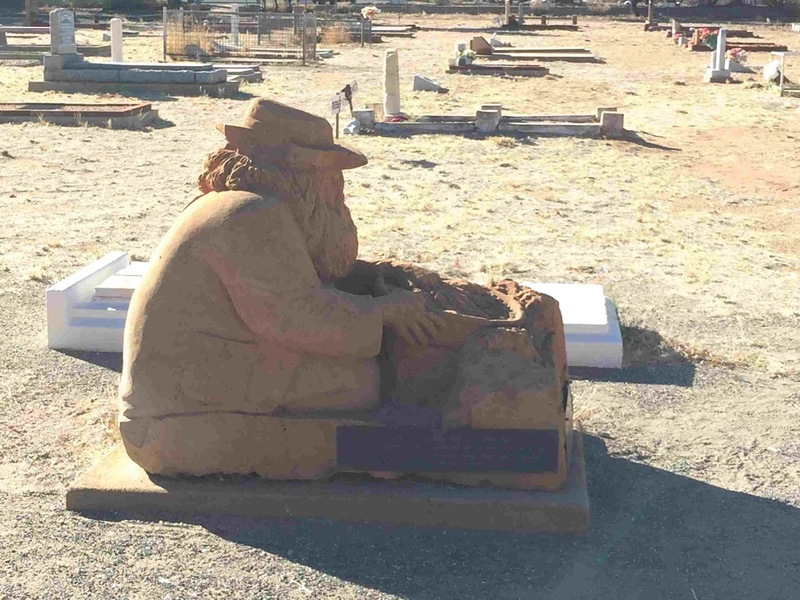 His grave was found in 1957 and relocated to the Pioneer Cemetery in Alice Springs. His inscription reads: "Harold Lewis Bell Lasseter. Died in the Petermann Ranges on January 30, 1931. His grave was located on December 14th 1957 by an expedition led by Lowell Thomas and Lee Robinson. This is his final resting place." 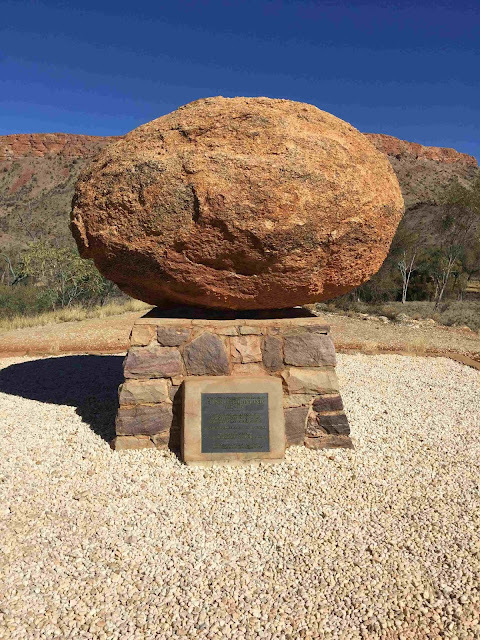 The main highway from the Stuart Highway to Ayers Rock, 244km, is named after Lasseter. 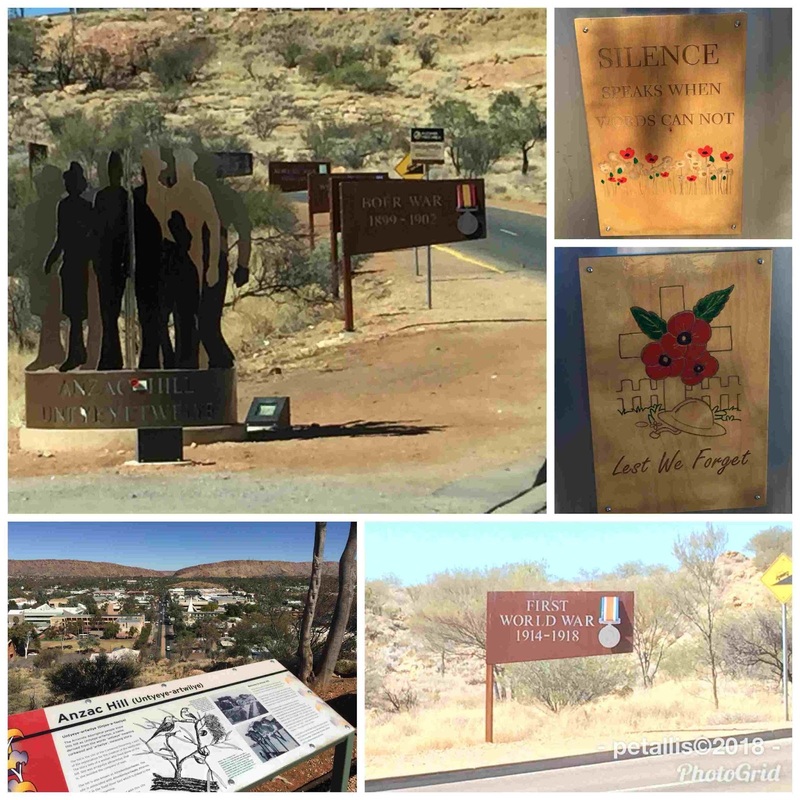 The following day we took a lovely drive, approximately 50 km from Alice Springs, along the MacDonald Ranges to Stanley Chasm. 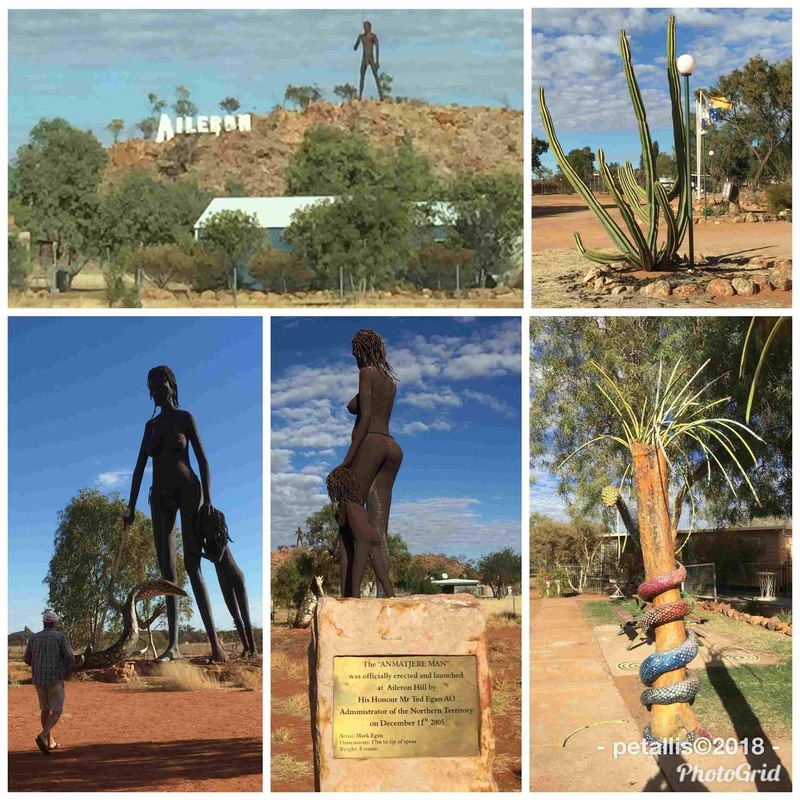 Photos do not do justice to the lovely scenery – real Albert Namatjira country. The chasm was formed over millions of years by the rain waters flowing over the sandstone into the Finke River. It rises up to 80 metres. The walk to the Chasm is mostly level and with care is an easy walk of about 15-20 mins each way. Cost is $12 (or $10 concession). There are many different walks of varying length and degrees of difficulty. The car park at Stanley Chasm was crowed. 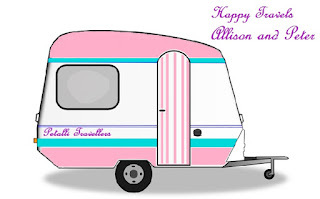 Caravans were waiting to park in their overnight spots, but day tourists had parked there. All seemed a bit disorganised. Camping is $18.50 per person per night, and an extra $5 per night for power. The cafe has lovely painted table tops and serves a basic morning tea / lunch. There is also a gift shop with some lovely Aboriginal painted items. 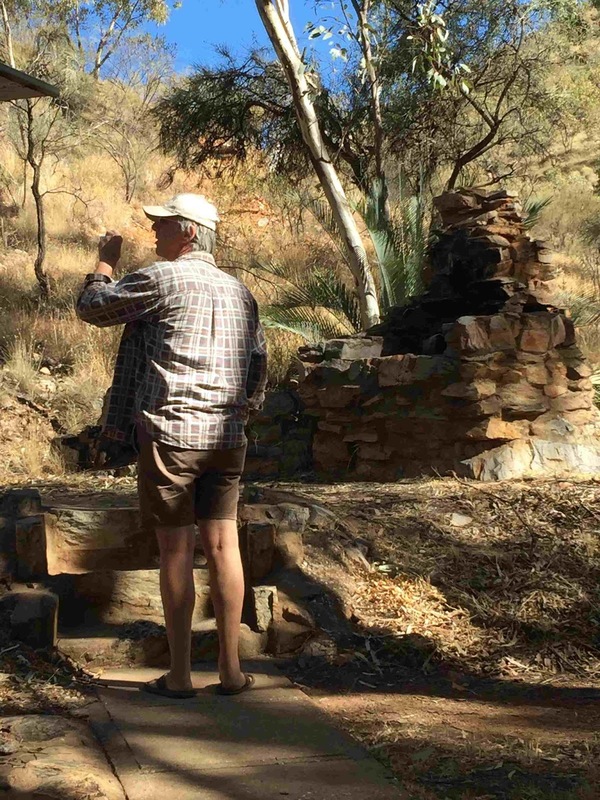 Stanley Chasm, or Angkerle Atwatye – the gap of water – is another site of cultural significance for Aboriginal Women. 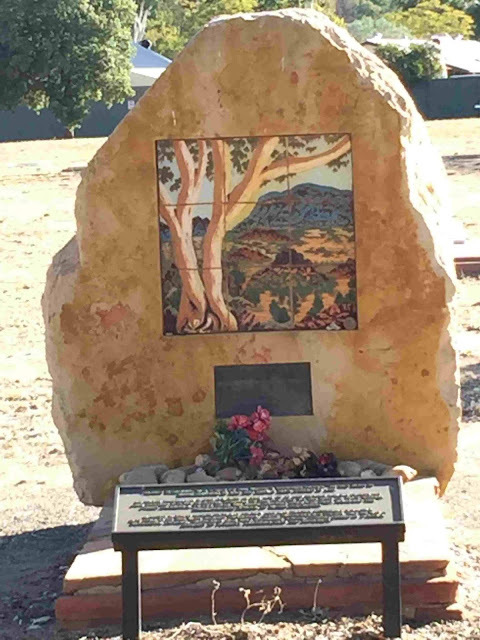 The name Stanley comes the first European women to be invited to visit the site – Mrs Ida Stanley, who was the first school teacher in Alice Springs in 1914. She was also the matron of a school for children of Aboriginal descent children in nearby Jay Creek. 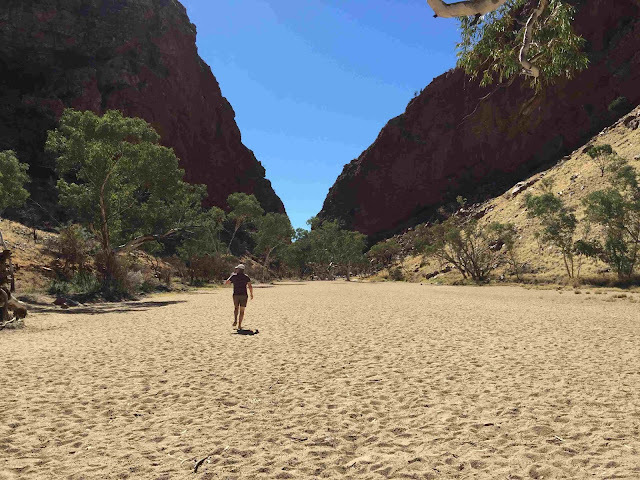 Stanley Chasm is owned by the Iwupataka Land Trust and run by the Angkerle Aboriginal Corporation. We then headed back to Alice, stopping at Simpsons Gap. There is a big carpark along side another wide dry river bed. There are picnic areas and information boards. It is an easy walk down the river bed or along a parallel pathway to the Gap. Back on the main road we stopped at Rev. Flynn's grave. Very well done with seats to reflect. No shade, but a big carpark. Our last of the fours days in Alice was a rest day. We did some more food shopping to stock up and finished the washing. There is more to see in Alice. We were there in peak time and left the day before the annual show. We were surprised that we didn't see any indigenous people working anywhere. There were many walking around and sitting in parks and river beds. Not what we expected. There are many Aboriginal only hostels in town, that are full of rubbish and some broken windows. The service of alcohol is very restricted. Bottle shops and drive through are not allowed to open before 2pm and one is limited to the purchase of beer, spirits and fortified wines, and one needs photo id to purchase. An interesting place. 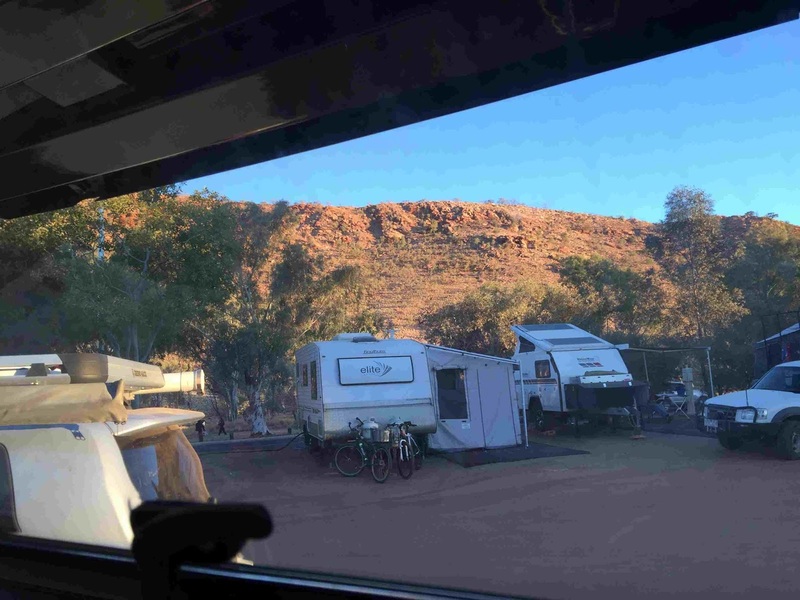 We enjoyed our time in Alice Springs too, and even had a trip to the hospital when I twisted my knee getting out of the tour bus. Oh no Jenny. Well I guess that means you saw more than us, we went past the hospital a few times, but never in it. A very interesting place!